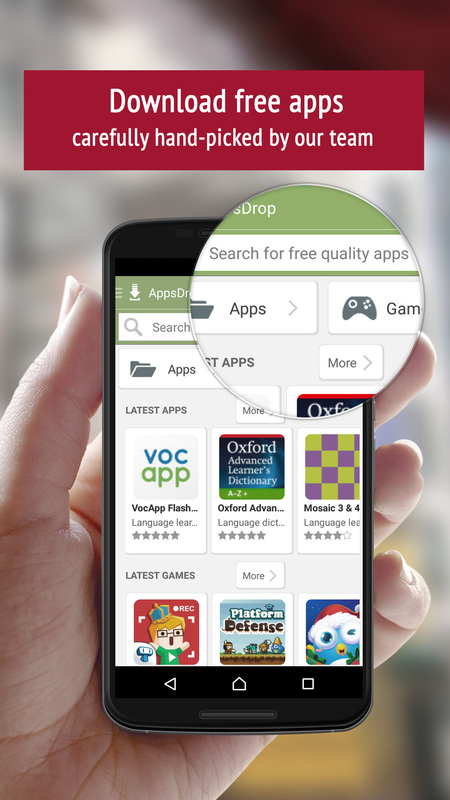 Thank you for your interest in AppsDrop, the app for finding quality apps for Android. Here you will find screenshots, our logo, slogan and description. 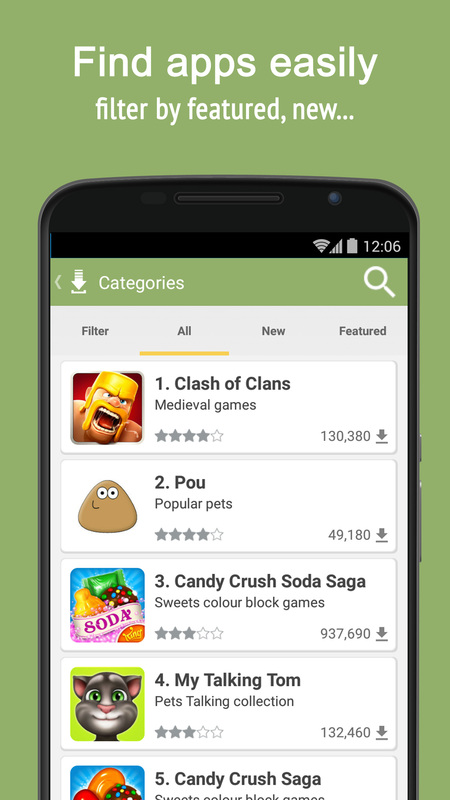 AppsDrop is a market for high quality apps for Android. 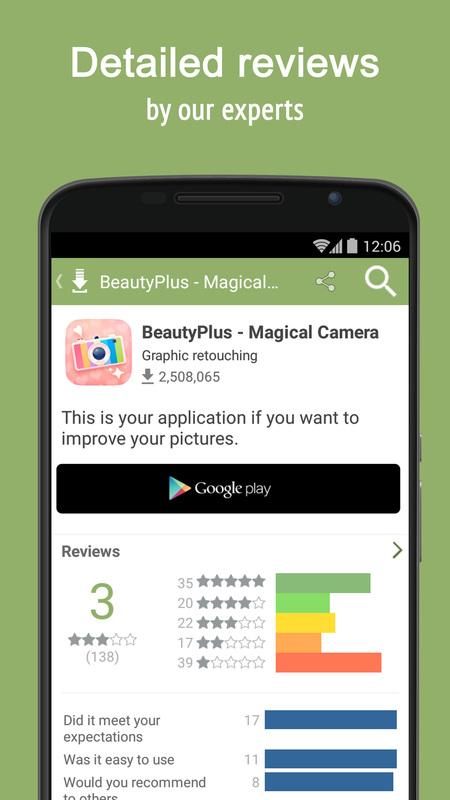 Discover the best apps, selected one by one by our experts; furthermore for apps that are not on Google Play. And download you APKs directly! 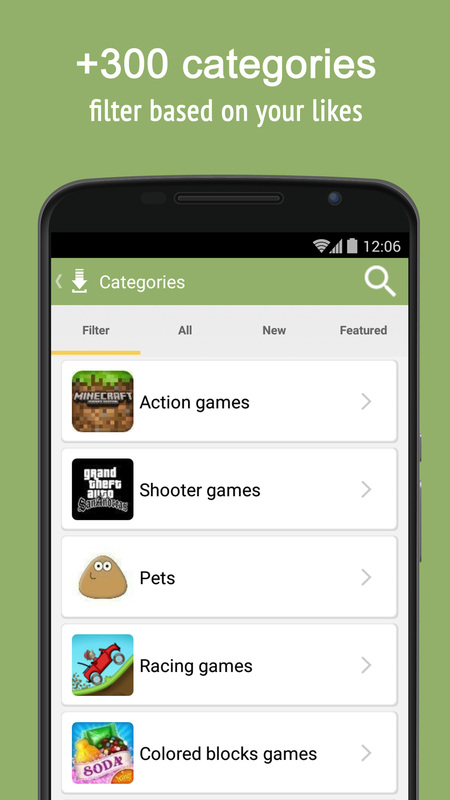 A selection of thousands of the best apps for Android carefully selected by a group who love mobiles, apps and games so that you can discover easily and quickly the most interesting for you. .
Find quality apps and fun games easily: searching is quick, browsing through categories is fast ... The apps are ordered into over 300 categories and you can filter by free, the most outstanding, latest news... What's more all of the apps are downloaded from your app store so it will be easy, fast and secure for you to install them. More colors in our complete press kit. RedAccenir is the company developing AppsDrop. Founded in 2006, it has its headquarters in Barcelona and is dedicated to investing in web businesses making technology easier. It has a team with over 13 years of experience in Internet, of which more than 11 years in the software universe. Currently it manages an international software download web with over 400 million downloads performed, as well as a digital magazine focused in the computer world with over 2.000 articles published. Do you need additional images? Want an interview? For press inquiries please contact us. We are eager to hear from you!